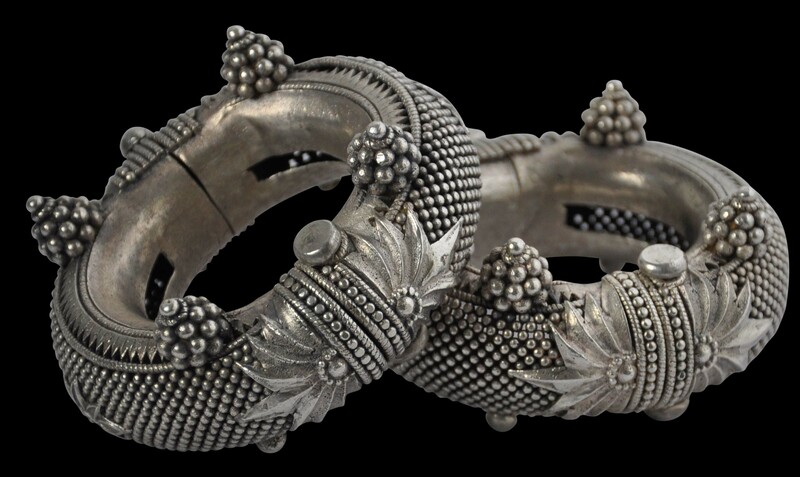 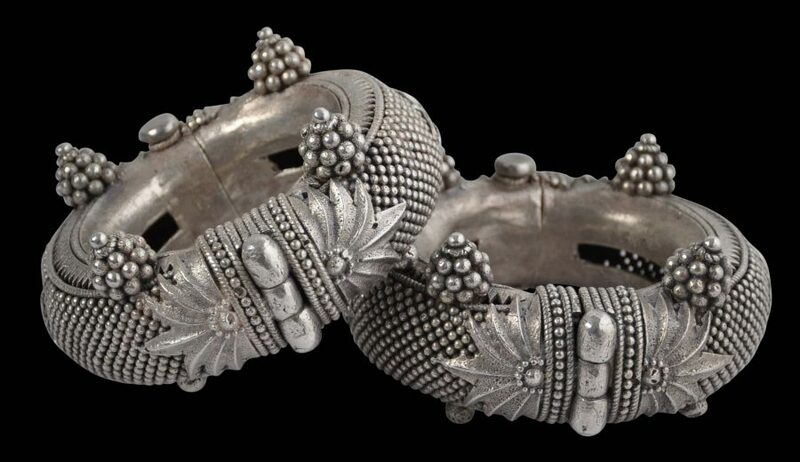 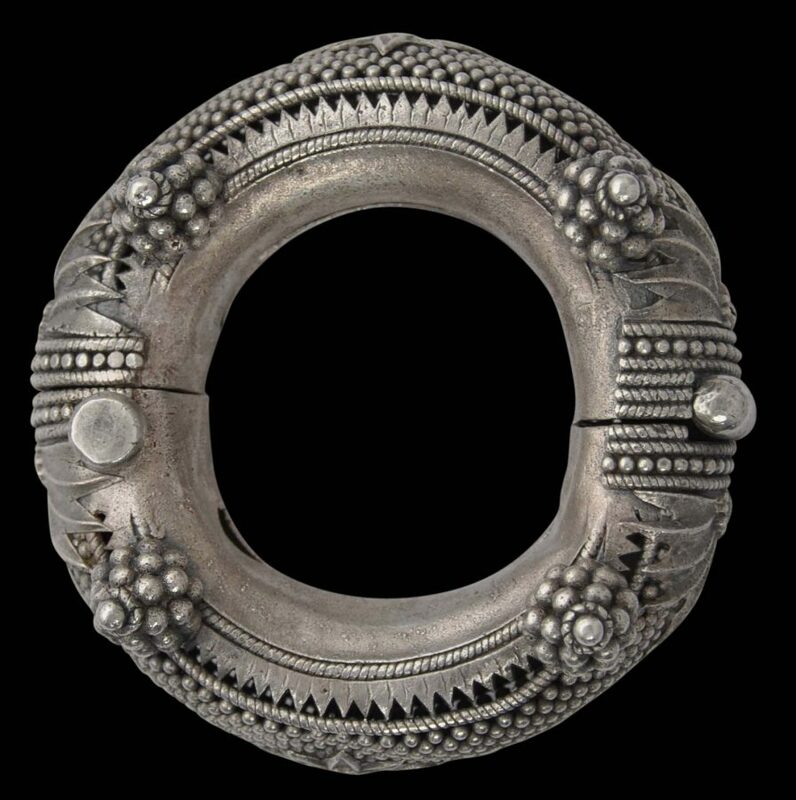 Each of this fine pair of either anklets or bracelets has a cushion-like form, but the sides are pierced and have been constructed by the careful soldering together of hundreds of tiny silver spheres. 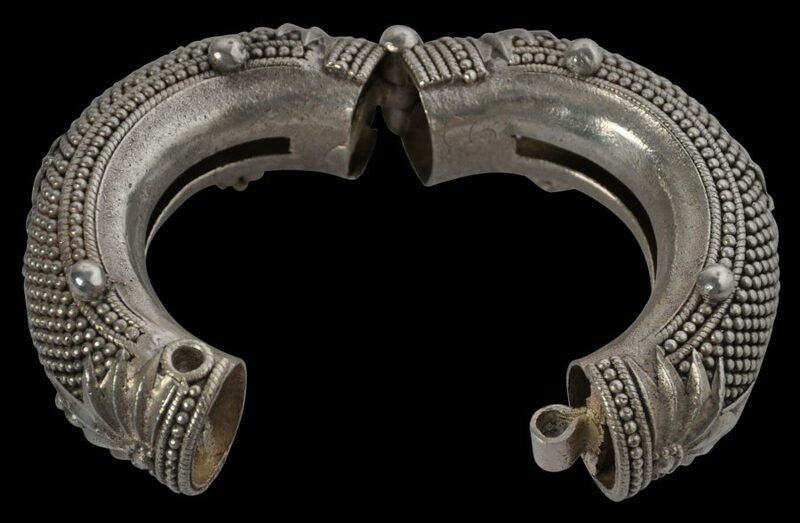 The anklets are in excellent condition. van Cutsem, A., A World of Bracelets: Africa, Asia, Oceania, America, Skira, 2002.